The ‘DSRA’ is composed of volunteers who represent residents’ interests. We hold regular meetings with FirstPort to ensure the best level service and ensure our money is well spent. We are a welcoming group. If you want to help organize a social event or join a committee, please get in touch! We have two working ‘committees’; The ‘Finance Committee’ which reviews First Port’s budget and accounts; and a ‘Buildings Committee’ which works closely with the Site Manager to ensure standards of upkeep, cleaning and maintenance meet requirements. The aim of this website is to keep residents informed of our activities and events. Thank you to all those residents and children who turned up for this lively event! It was very good to meet some new neighbours, sip hot tea and coffee, drink wine and to enjoy some roof top sunshine and warming spring air. The Thomas – Burke roof garden proved an ideal place to hide chocolate eggs. Thanks to all those who brought them along and especially for Gerald Bernard for his generous contribution! There were plenty of keen and energetic children to add to the mix. There were several ‘hunts’ organized as little hands delved into the shrubbery and grasses. Over a hundred chocolate eggs of all shapes and sizes were found, consumed or smuggled home. 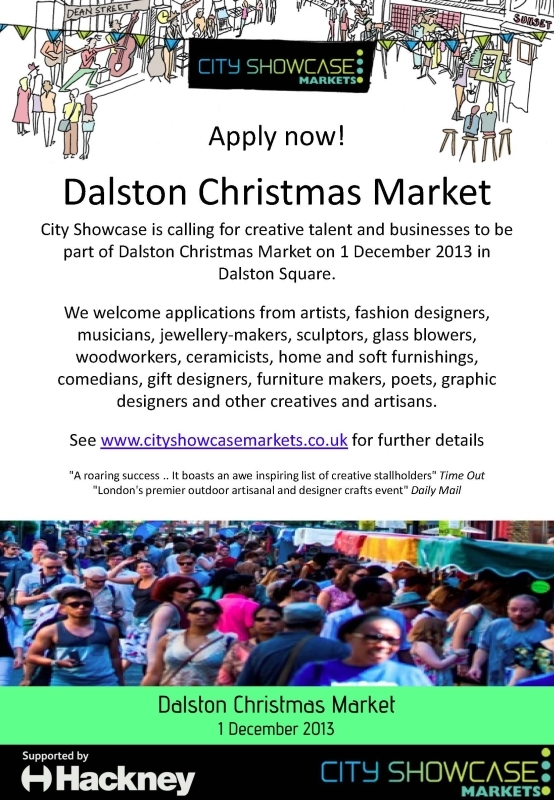 Hopefully the event will become a Dalston Square Easter tradition. The DSRA usually holds a late summer (September) roof top garden party. Interested in helping? Get in touch with the DSRA via the letter box in Gaumont Tower or by email. Please be advised that the public screening of a film in Dalston Square this evening, to celebrate the launch of the Hackney Film Club’s ‘Turkey East Asia Season’, has been postponed. Weather forecasters have warned of the chance of high winds and rain for this evening so the performance has been provisionally rescheduled for May 23rd. That date coincides with the World Food Market’s wish to be in the square so avenues need to be explored to determine if both events can run concurrently. To that end there is a meeting within the council this coming week, and I should be able to get back to you all with an update soon thereafter. 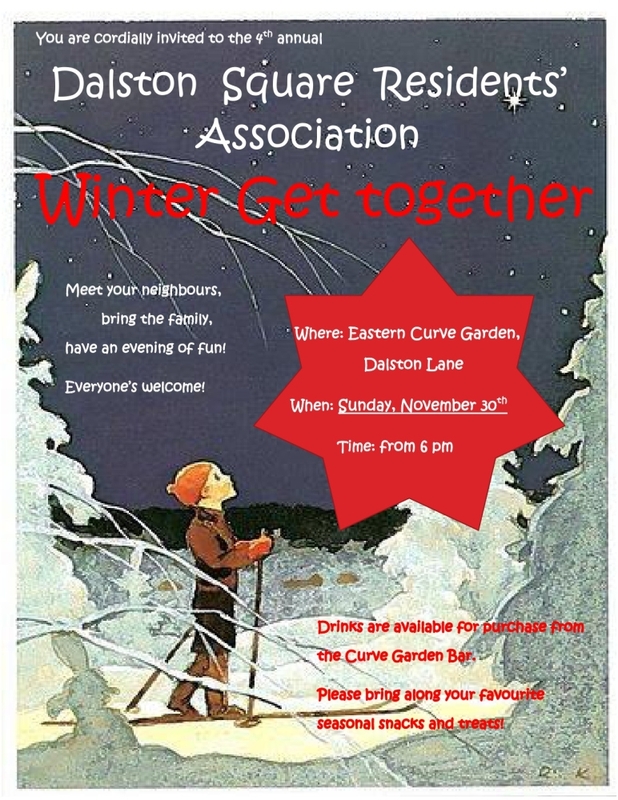 Not much needed with regard explanation I believe, but just to say that, continuing the tradition of trying to bring Dalston Square’s residents together, the DSRA is pleased to announce it’s Winter/Christmas social event. Check out the poster below (give the thumbnail a click), and soon on your block’s noticeboard. A chance to meet a neighbour or 3, and meet some of the folk that attend meetings as representatives of the DSRA (pursuing causes in the name of all residents). 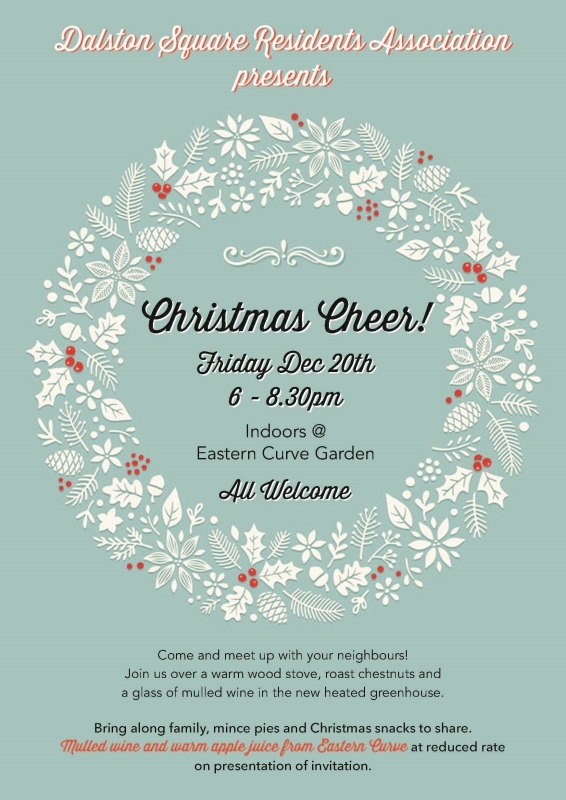 Meeting in the wood-burning-stove heated greenhouse of the Eastern Curve Garden on Dalston Lane, we offer you a chance to meet and say ‘Hi’ to a few of the faces (residents/neighbours ) often seen here in the square. The Garden’s cafe serves tea, coffee, herbal drinks, beer, cider, wine, and their own fresh lemonade and sodas. Thy also sell some food items but Marie from the garden management team has said it is fine to bring along our own snacks and treats, just please use the bar for drinks. There is a chance (no promises here) that freshly made pizza will be available too, but do not rely on it. Hi neighbours. 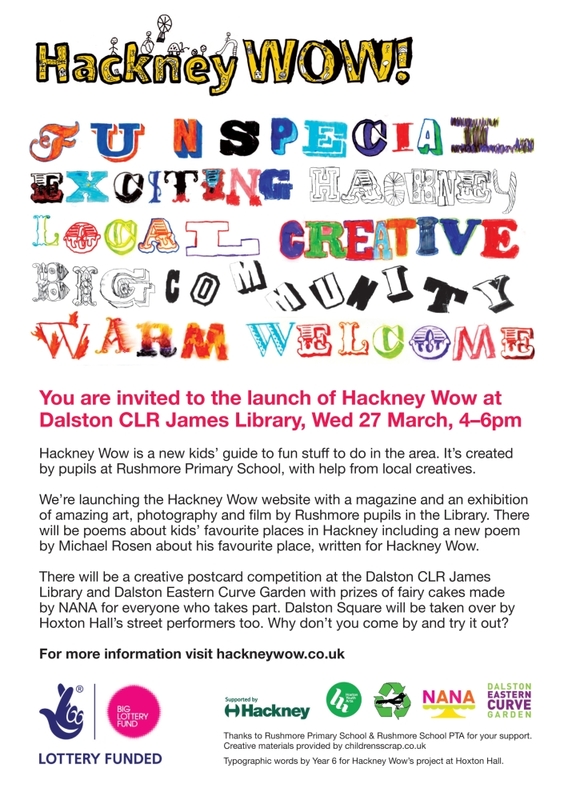 Just wanted to pass on some news I have received from Lucy McMenemy, Cultural Programme Officer from Hackney Council. 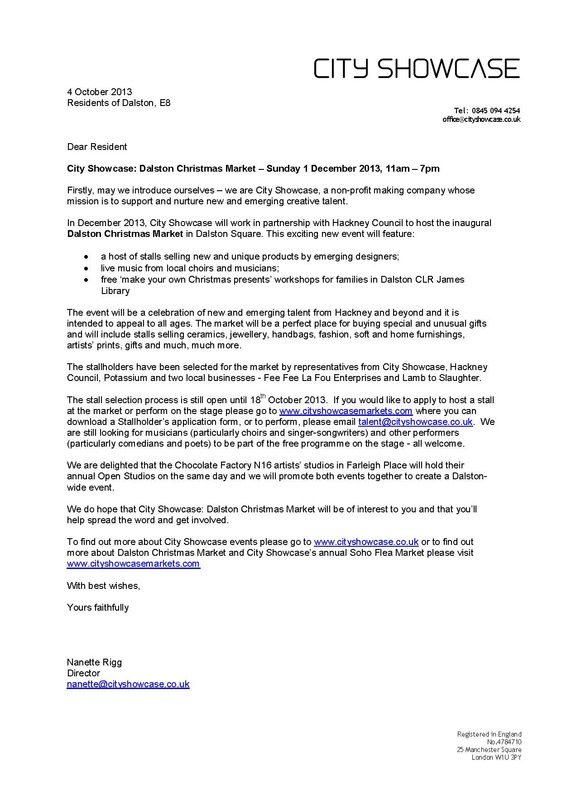 As you all know by now, the council has plans to make Dalston Square a focal point of the local community by laying on a wide range of events and activities. The news from Lucy comes in 3 parts: Firstly, posted to the forum are the minutes from the latest meeting of the Culture & Community Engagement Forum HERE (scroll down to the last post on the thread). Secondly, a poster for the community wide project, Dalston Children’s Festival: A summer’s worth of events, to run throughout Dalston. Click on the thumbnail below this message to see it in full. Those of you who follow our Twitter feed (@DalstonSquareRA) will have seen us mentioning this already: If you have kids, get them out there and support this wonderful initiative. 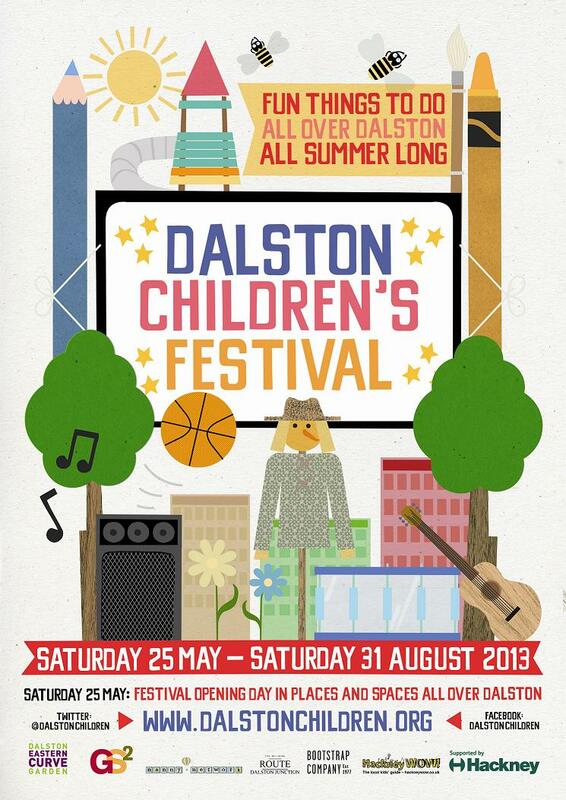 Saturday 25th May should be a great community gathering, if the weather is on our side, as it is the launch of the Dalston Children’s Festival and it is also the first night of the Dalston Square Cinema. 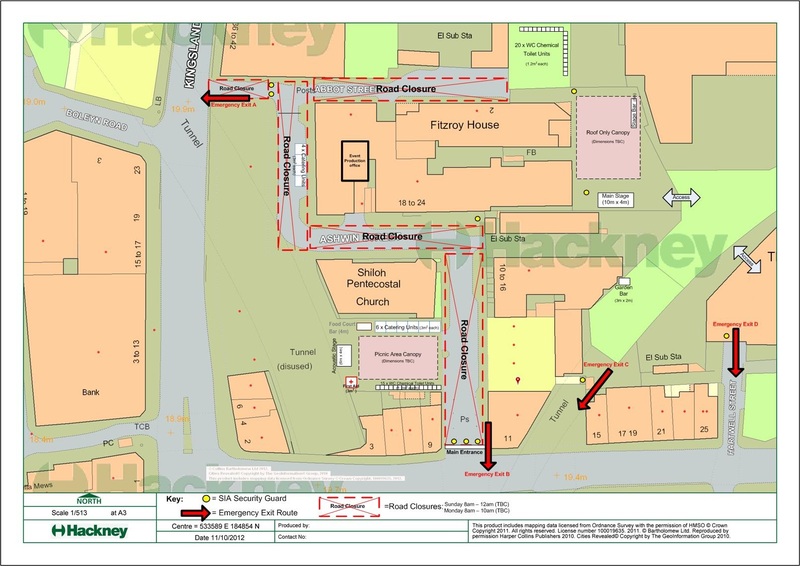 The square will be temporarily transformed into a cinema by the Lost Picture Show, and the film programme has been been chosen by local teenagers. That night the film programme includes the 70’s hit musical Bugsy Malone. 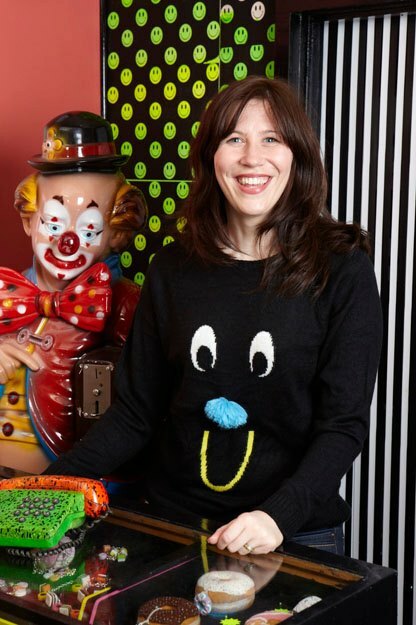 Thirdly, in order to ensure that residents do not feel left out of the loop of what is going on in what many feel is their Square, Lucy’s team is to produce a newsletter, posted out to every residence in the Square, which will contain a full programme of events. The first edition will be with you shortly. Lucy apologises for the ‘corporate’ feel of this first edition, but assures us future editions will be better. For anyone who loses track of their copy, and for followers of this blog who do not live on the Square itself, I will be posting copies of this newsletter to our discussions forum for all to download. The first edition is available HERE. 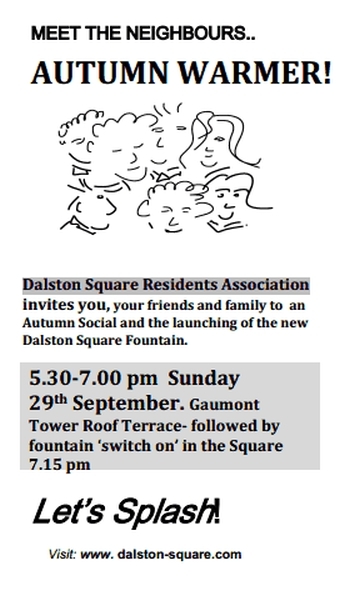 One last thing before I leave you in peace: Don’t forget our Twitter feed at @DalstonSquareRA. Although these DSRA posts go out on it, 99% of our tweets are regarding the wider community: Everything from Hackney Council updates to pop-up restaurants to local community events. And if you tweet yourself, and know of something going on we have missed, tweet at us and we will re-tweet you! That’s it for now folks, have a great weekend.